Welcome to A-Plan, Carterton, your nearest branch. The Clock House, Carterton, OX18 3AA mile away. 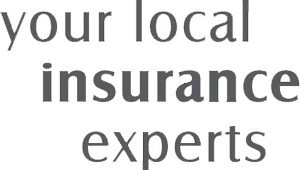 As your local insurance broker, A-Plan Carterton has been serving clients in your area since 1991. We have specialist facilities for private car, home & contents and commercial vehicle insurance. A-Plan in Carterton was opened in 1990 initially specialising in car, van and home insurance. These days whatever your insurance needs we should be able to help you through our panel of insurers. We also have unique facilities for Window Cleaners, including those with vans fitted with 'Water-Fed Pole Systems'. Our Reach and Wash products are designed to cater for Window Cleaners in the event of a claim, allowing them access to vehicles fitted with specialist Reach and Wash systems and our client bank ranges nationally for these policies. Assisting young people with disabilities through the Gig-Arts charity. Sponsoring the Carterton amateur dramatics production. Supplying the local under 11’s Football team training kit. Your Carterton Branch Manager. Get the right cover at a great price! Put our local team to the test to see how we can help you.